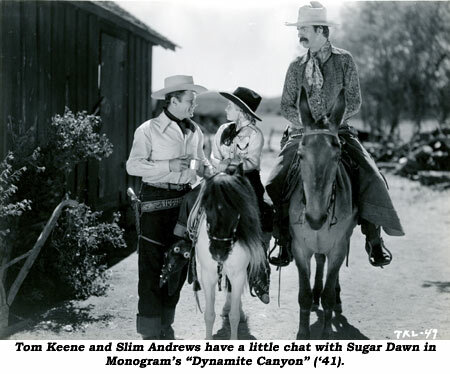 Commenting on her co-stars, “Tom Keene was a very, very nice gentleman, a good rider, we had lots of fun. 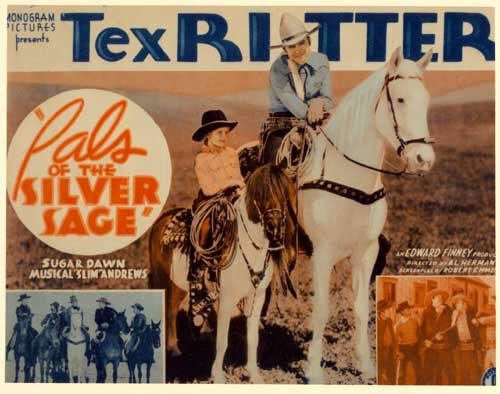 The same can be said for Tex Ritter, who also had a good singing voice. We had lots of fun on those pictures. 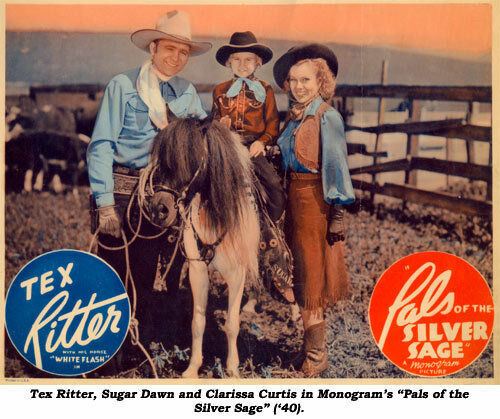 It wasn’t like work or making movies, it was like playing, like make-believe. It was wonderful!” As for the leading ladies, “Betty Miles I remember well. 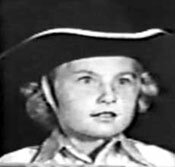 She was a pretty lady, but they all were very pretty and very, very nice. 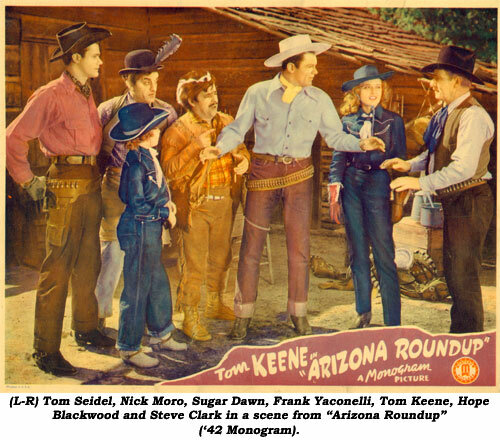 Movies: Pals of the Silver Sage (‘40 Monogram)—Tex Ritter; Wanderers of the West (‘41 Monogram)—Tom Keene; Dynamite Canyon (‘41 Monogram)—Tom Keene; Riding the Sunset Trail (‘41 Monogram)—Tom Keene; Lone Star Lawmen (‘41 Monogram)—Tom Keene; Arizona Roundup (‘42 Monogram)—Tom Keene.